Please click on the thumbnail images below to expand to full view. View of the lower frame of a patio door. 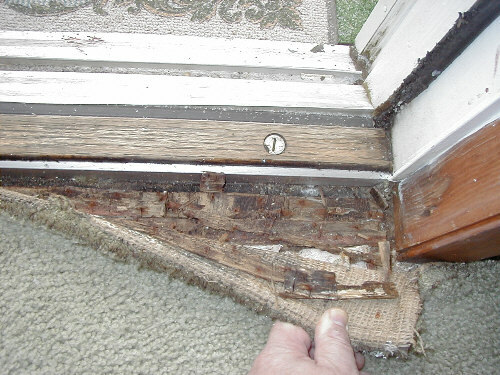 Note the darkened wood, with active mold growth on it. The wood frame here was too damaged to try and salvage, so the entire patio door had to be replaced. 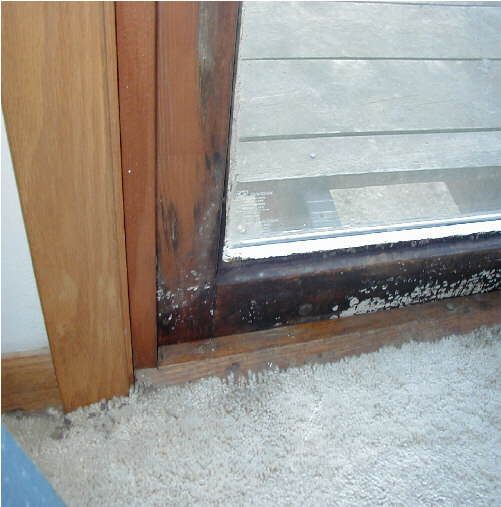 View of floor decking on the inside of a patio door. Water had been seeping under the threshold for a long time, but was hidden by the carpeting. Due to the mold growth & deteriorated wood, several sheets of decking had to be replaced.